~Most sea life absorb high levels of methylmercury (mercury poisoning) from human pollution and volcanic matter. Mercury is a neurotoxin and can critically effect other organs. Lead, manganese, chromium, cadmium, and arsenic may be present in sea life. ~Other pollutants: Dioxins, Polychlorinated biphenyls (PCB’s), Polybrominated diphenyl ethers (PBDEs), are endocrine and immune system disrupters, and are also known to cause cancer. ~Sea foodborne illnesses are around 76 million/year and related deaths are around 5000/year. This accounts for over 44% of all foodborne illnesses. -Vibrio bacteria, the ”flesh-eating bacteria” accounts for 90,000 cases and 100 deaths per year in the US. Often from under cooked or raw sea’food’ (shellfish, sushi). -Parasites infections from consuming sea life include: Tapeworms, Flukes, and Roundworms. Estimated Annual Occurrence of Parasitic Infections Due to Consumption of Sea Life is 30 MILLION cases. ~Ocean acidification (the ongoing decrease in the pH of the Earth’s oceans, caused by the uptake of carbon dioxide (CO2) from the atmosphere). This causes algae blooms and ocean dead zones leading to toxic fish from heavy metal compounds. Because of ocean acidification, it is important that we leave the oceans alone. 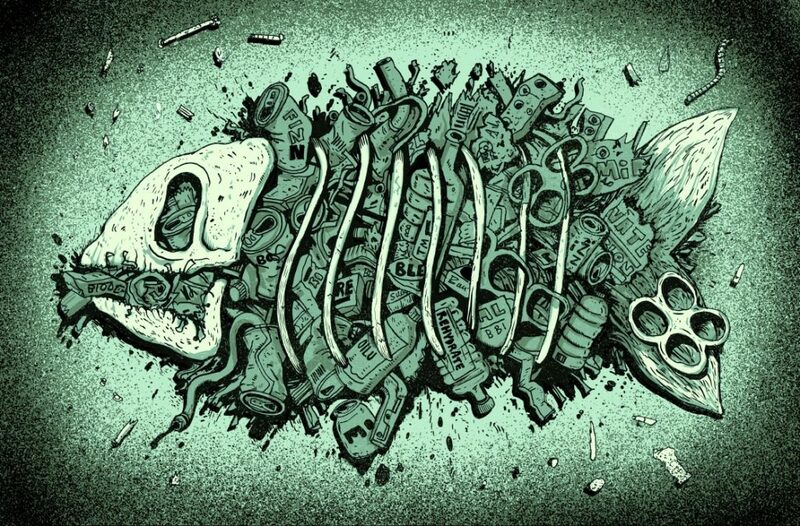 ~ Plastic microparticles from plastic pollution are getting into the flesh of fish eaten by humans. ~Farmed fish are fed pellets from other rendered animals to fatten them up. 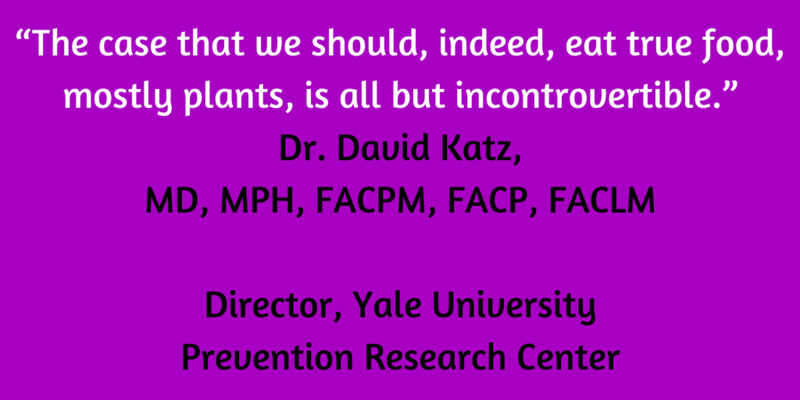 This is an unnatural diet for fish and rendered animals are full of poisons (look up rendering plant). They are also given dyes for coloring and antibiotics. ~According to a report by the General Accounting Office, the seafood industry is dangerously underregulated. In fact, the Food and Drug Administration doesn’t even bother to test most fish flesh for many well-known chemical and bacterial health hazards. ~Oceanliners, including fishing vessels emit massive amounts of carbon emissions. They are completely unregulated. In addition to emissions, all ships discharge their sewage into the oceans, and many dump their solid waste. -And let’s not forget about Fukushima unprecedented releases of cesium-134, cesium-137, and many other gaseous and volatile radioactive elements to the Pacific Ocean. Read More. ~Bottom Trawling (one way fish are caught) is destructive to the ocean floor and all bottom dwelling sea life. If the environment important to you, PLEASE read my article on ‘Impactful Eating‘! 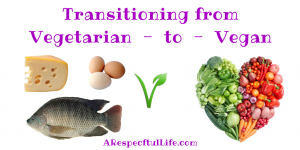 If you are a fish eating pescetarian / pescatarian or vegetarian, please read my article, ‘Transitioning From Vegetarian To Vegan‘. 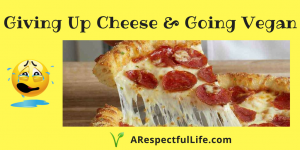 I have also written about ‘Giving Up Cheese And Going Vegan‘. If you have any questions about my content or articles, please feel free to contact me directly. Previous ArticlePrevious Post: Ann Arbor Michigan, One of the Happiest Places in the US – The Next Blue Zone?